Richmond Car and Truck Center is proud to offer this immaculate previous 1 Owner Off Lease 2016 Nissan Maxima 3.5 SR Midnight Edition that looks great with a Super Black exterior and Charcoal Leather interior. Some of the great features youll find in this Nissan Maxima SR is Front Fog Lamps, Remote Start, Rear Spoiler, 19-inch Wheels, Push Button Start, Heated/Cooled Seats, Sport Paddle Shifters, USB/AUX Connection, Adaptive Cruise Control, Bluetooth Connectivity, Navigation, Rear Backup Camera, Sport Driving Mode and Blind Spot Monitoring. Take comfort in knowing Carfax affirms only one previous owner, no incidents and it has the 100% Carfax Buyback Guarantee!. Due to our pricing our vehicles sell pretty quick, so call ahead to be sure of availability! 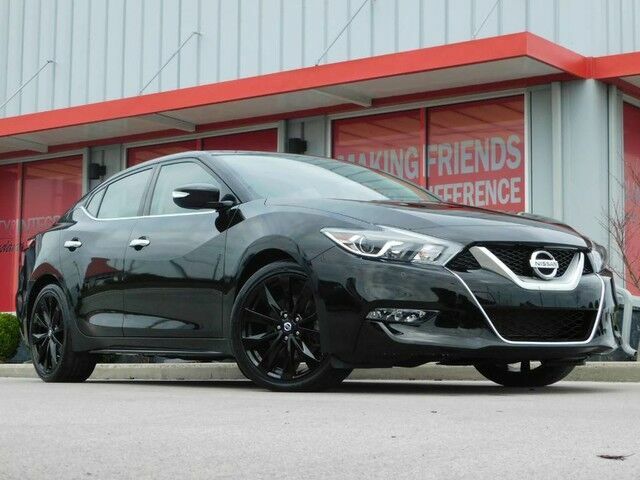 This Nissan Maxima SR Midnight Edition has been quality inspected, fully serviced and ready for delivery at Richmond Car and Truck Center of Richmond, Ky.